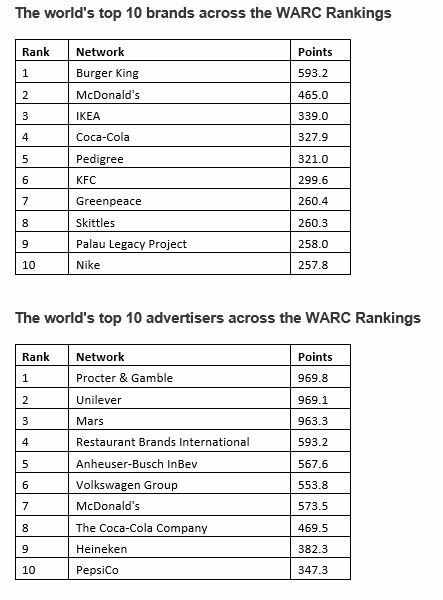 The culmination of the WARC Rankings is the newly launched ‘Best of the Best’. 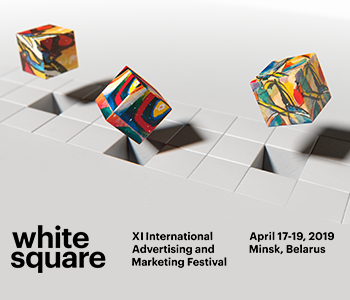 This identifies the best-performing companies across our three benchmarks of marketing excellence – creativity, effectiveness and media excellence. ’The ‘Best of the Best.’ It literally can’t get better than that when it comes to public recognition of BBDO Worldwide. I am proud of, and grateful to, our clients and all of the people in our agencies who made this happen. 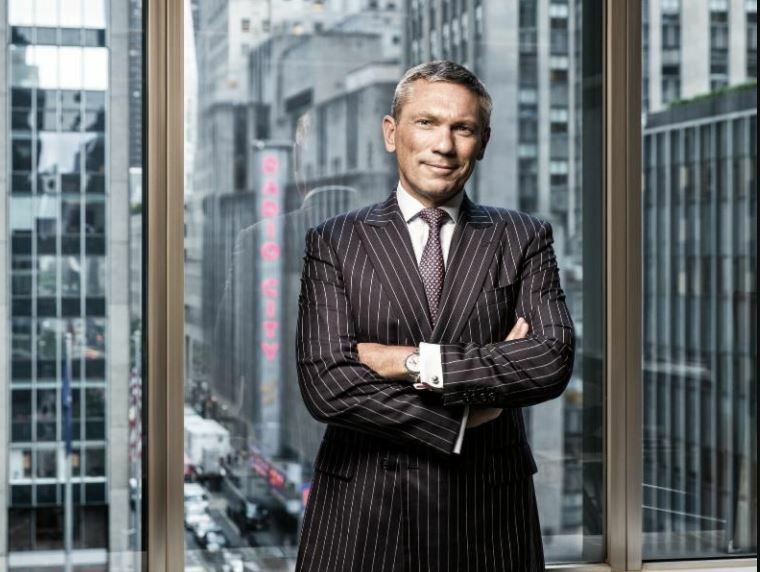 Having four agencies from four regions all ranked in the Top Ten, including BBDO New York at No.1, demonstrates the breadth of talent in the network. 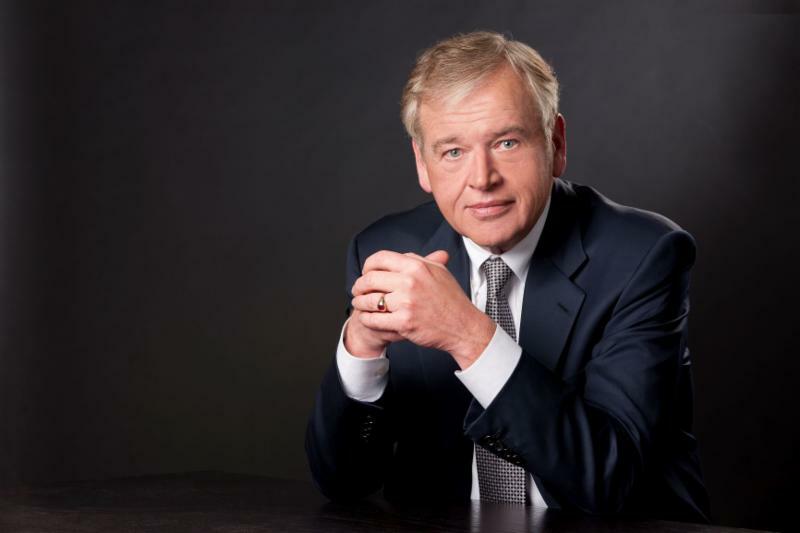 Omnicom Group tops the Best of the Best holding company ranking. 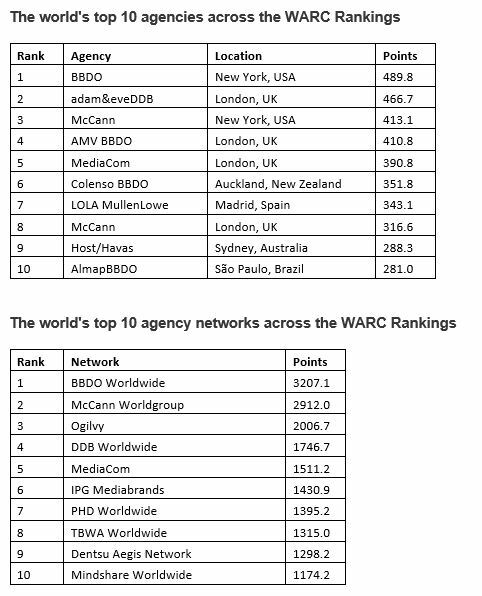 BBDO Worldwide’s strong performance was supported by top 10 ranks for DDB Worldwide, PHD Worldwide and TBWA Worldwide. It’s a proud moment to see Omnicom and its agencies topping the ‘Best of the Best’ list as the #1 network, #1 and #2 agency, and #1 holding company (…) Employees across the globe come to work every day ready to deliver world-class services for our clients, and that shines through as they’re recognized by WARC for their creativity, marketing effectiveness and media excellence. Congratulations to all our people who can take great pride in these accomplishments. The Best of the Best ranking aggregates points across the three rankings. 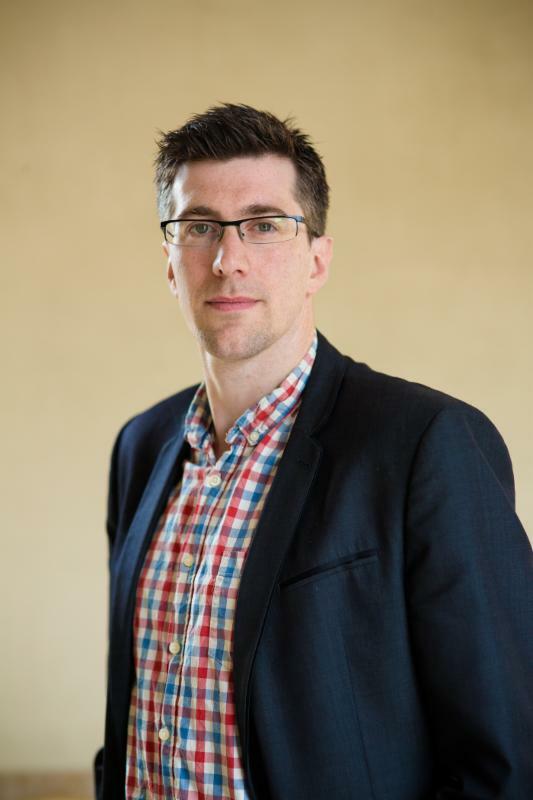 To ensure performance in each ranking has equal weight in the Best of the Best tables, a weighting for the effectiveness and media rankings has been calculated that inflates their scores versus the creative rankings. For this reason, points in the Best of the Best are not simply the total of the three individual rankings.